What Does a Restorative Dentist Do? We all work hard to keep our smiles healthy with daily brushing and flossing and regular trips to the dentist, but even the most diligent oral hygiene routine can have gaps that allow for tooth decay or damage. That’s where a restorative dentist comes into play. A good restorative dentist will provide treatments that preserve the maximum amount of natural tooth structure and recreate lost dental shape and function. A restorative dentist does all of this while keeping in mind the way any treatment will impact the appearance of the smile and overall health. Suffice to say, finding a good restorative dentist is key to keeping a healthy, happy smile on your face. 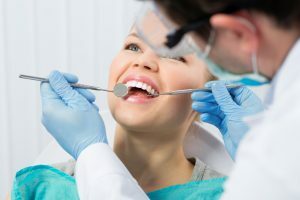 The good news is, the general dentist you trust with your routine oral health and hygiene visits is likely also a skilled restorative dentistry practitioner. Comments Off on What Does a Restorative Dentist Do? Have you heard about new CEREC One Visit Crowns? A dental crown is used to cover or cap a damaged tooth, to restore its normal form and function. Besides strengthening your tooth, a dental crown can be used to improve its appearance, shape, and alignment. Dental crowns are also used to top off dental implants to provide an artificial tooth shape and structure. Dental crown placement used to take two or more visits, and required the use of messy putty moldings and the wearing of temporary crowns. Today however, Dr. Marks offers one visit crowns with CEREC dental technology. CEREC One Visit Crowns can save you both time and money by eliminating the need for multiple visits and uncomfortable temporaries. Make your CEREC One Visit Crowns appointment with Dr. Marks or Dr. Martin today. Donald Marks Family Dentistry is the leading restorative dentistry of: State College, PA, Park Forest Village, Spring Mills, Centre Hall, Huntingdon, Altoona, Penns Valley, Boalsburg, Lemont, Bellefonte, Lewiston, Philipsburg, Port Matilda, University Park, Pleasant Gap, Hollidaysburg, and the surrounding communities. 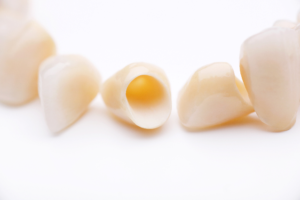 What Are CEREC One Visit Crowns? CEREC (Chairside Economical Restoration of Esthetic Ceramics) is an advanced dental restorative system utilizing CAD/CAM (computer-aided design/computer-aided manufacturing) dental technology to restore decayed teeth, place crowns, remove defective silver fillings, or place cosmetic veneers in just one short visit to the dentist. How Are CEREC One Visit Crowns Made? CEREC Acquisition: First, Dr. Marks will use the CEREC camera to take a digital picture of your damaged tooth. This picture is used instead of a traditional putty impression. The computer and CEREC 3D software converts the digital impressions into a virtual model. Dr. Marks can this use this model to design your restoration chairside. Dr. Marks then sends the design specifications to the in-office CEREC milling machine for fabrication. CEREC Milling: Dr. Marks will select a ceramic block that matches the preferred shade of your new tooth. Using this block and the data from the acquisition process, two diamond coated burs will precisely carve the block into the perfect restoration. After the milling is finished, Dr. Marks will polish your finished crown and bond it into place. This entire process usually takes about 30 minutes depending on the size and type of restoration. Make an appointment with Dr. Marks and Dr. Martin today for your new CEREC One Visit Crown restoration. Donald Marks Family Dentistry is the trusted family dentistry of: State College, PA, Park Forest Village, Spring Mills, Centre Hall, Huntingdon, Altoona, Penns Valley, Boalsburg, Lemont, Bellefonte, Lewiston, Philipsburg, Port Matilda, University Park, Pleasant Gap, Hollidaysburg, and neighboring areas. When is a headache, more than a headache? If it is accompanied by neck and ear pain, difficulty chewing, and clicking noises in the jaw, you could be suffering from a more serious condition, TMJ (temporomandibular joint) disorder. These important joints are located on either side of your face to help regulate your facial muscles and jaw movement.TMJ disorders are a group of degenerative conditions resulting from strained and damaged temporomandibular joints. For your TMJ disorder evaluation, make an appointment with Dr. Marks and Dr. Martin at Donald Marks Family Dentistry today. Dr. Marks is an experienced general and restorative dentist that can help you get to the root of the problem. Donald Marks Family Dentistry is conveniently located on University Drive and provides quality dental care to patients of all ages throughout State College, PA, Park Forest Village, Spring Mills, Centre Hall, Huntingdon, Altoona, Penns Valley, Boalsburg, Lemont, Bellefonte, Lewiston, Philipsburg, Port Matilda, University Park, Pleasant Gap, and Hollidaysburg. Myofascial pain dysfunction (MPD) syndrome– pain at the TMJ due to various causes of increased muscle tension and spasm. It is believed that MPD syndrome is a physical manifestation of psychological stress. Pain is secondary to events such as nocturnal jaw clenching and teeth grinding. Treatment is focused on behavioral modification as opposed to joint repair. Internal derangement (ID)– where the problem lies within the joint itself, most commonly with the position of the articulating disc, usually resulting from facial injury. Degenerative joint disease– where arthritic changes result in degeneration of the joint and muscles. 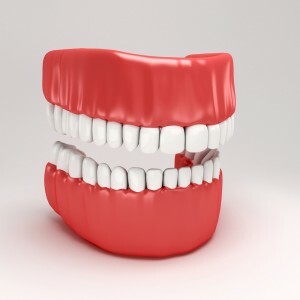 Dr. Marks can offer immediate and non- invasive TMJ disorder relief with custom-made nightguards and bite appliances to stop and reverse TMJ disorder damage. Don’t put off the TMJ disorder therapy you need any longer. Make an appointment with Dr. Marks and Dr. Martin at Donald Marks Family Dentistry today. Donald Marks Family Dentistry proudly serves families throughout State College, PA, Park Forest Village, Spring Mills, Centre Hall, Huntingdon, Altoona, Penns Valley, Boalsburg, Lemont, Bellefonte, Lewiston, Philipsburg, Port Matilda, University Park, Pleasant Gap, Hollidaysburg, and the surrounding communities. No one can underestimate the power and benefits of a restful night’s sleep. When we sleep, our body is able to rest and our brains are able to recharge itself to prepare for the next day’s adventures. Unfortunately, having the opportunity to have the recommended amount of sleep each night is few and far between for some, and can be detrimental on many levels. Many people suffer from sleep apnea, prohibiting them from being as coherent and restful and they would like. Thankfully, Dr. Donald M. Marks and Dr. John A. Martin are able to give their patients the blissful rest they have been wanting by offering sleep apnea therapy. 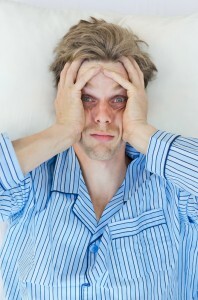 Many people may not know this, but suffering from sleep apnea goes beyond being tired throughout the day. When your sleep is interrupted on a regular basis, it puts you at a higher risk for high blood pressure, memory loss, stroke, heart attack, and much more. You may be at risk for sleep apnea if you are of advanced age, having nasal congestion, smoke, have a family history, and so on. It is important to be aware of your symptoms in order to properly diagnose you and give you the proper treatment. When someone suffers from sleep apnea, their breathing stops for up to ten seconds at a time due to airway collapse, and this can occur between 5-30 times in a single night. The way that Dr. Marks and Dr. Martin are able to help you with your sleep apnea is by supplying you with an oral appliance. This appliance opens up your airway by projecting your jaw slightly forward and repositioning your tongue. By wearing this while you sleep, you are able to get a peaceful rest and wake up feeling rejuvenated. If you want our doctors to help you with your sleep apnea, make an appointment at our office today! Call our State College dental office for an appointment. We are able to take care of whatever general, cosmetic, or restorative dental need you may have! We serve patients from Park Forest Village, Spring Mills, Centre Hall, Huntingdon, Altoona, Penns Valley, Boalsburg, Lemont, Bellefonte, Lewiston, Philipsburg, Port Matilda, University Park, Pleasant Gap, and Hollidaysburg. Welcome Summer with a Fuller Smile with Dental Implants! With summer knocking at your door, many people are doing everything they can to make sure they look their absolute best for the summer season. Whether it is buying the best food for the barbeque or going to the gym to get ready for the beach, many people want to have as much fun and feel as confident inside and out. If you have teeth missing from your smile, you may find it difficult to find confidence in the way you look. You are sure to reconnect with old friends and meet many new people this summer season, so making the best impression is important. 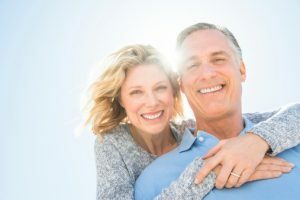 Dr. Donald M. Marks and Dr. John A. Martin understand the struggle their patients go through when they have teeth missing from their smile, and they are able to give their patients the smile they have always wanted using dental implants. 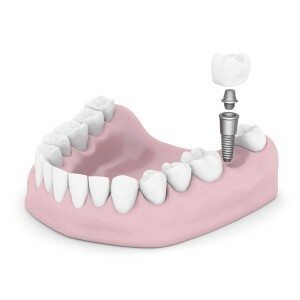 Dental implants can be used to anchor a dental crown to completely recreate a tooth, or to hold a fixed bridge permanently in place. Both solutions create a natural-looking row of teeth that you are ready and willing to show off at any given moment! So if you are ready for a beautiful, full smile just in time for summer, make an appointment with Dr. Marks or Dr. Martin, and they will be more than happy to help! Comments Off on Welcome Summer with a Fuller Smile with Dental Implants! People often forget that to have a healthy result, one must have a healthy foundation. Many people believe that as long as your teeth are straight and white, they are healthy. 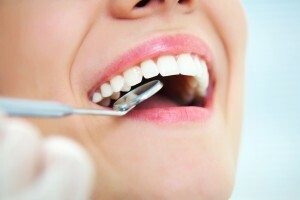 Unfortunately, not much attention is paid to the gums, which are the most crucial contributors to a healthy smile. Gum (periodontal) disease is when your gums are under attack, and it can result in unhealthy teeth. Our experienced doctors are dedicated to making sure your gums are as healthy as they can be, which is why they offer periodontal therapy to their patients. When you come in for your appointment, we will tackle your periodontal disease with scaling and root planing. These procedures allow us to remove plaque and tartar from below the gum line. This way, we are able to remove all of the harmful bacteria in areas that your toothbrush and flossing cannot reach, giving you a clear mouth! We will also be able to smooth the root surfaces, making it more difficult for tartar to build. We will give you antibiotics for your gum disease, helping your mouth heal, then close the appointment with instructions on how to better take care of your gums. If you’re interested in how Dr. Marks and Dr. Martin are able to help you with your periodontal disease, make an appointment at our office, and we’d be more than happy to help. Call our State College dental office for an appointment. We serve patients from Park Forest Village, Spring Mills, Centre Hall, Huntingdon, Altoona, Penns Valley, Boalsburg, Lemont, Bellefonte, Lewiston, Philipsburg, Port Matilda, University Park, Pleasant Gap, and Hollidaysburg. Does your smile need extra help? Most smiles do, eventually, whether because of decay, an injury, or another reason entirely. When you come to our State College office for care, Dr. Marks or Dr. Martin will assess your needs and help you put together a personalized treatment plan. As part of that assessment, we’ll consider what goals you have for your smile plus your medical history. Why is seeking restorative dentistry important? Because a healthy, functional smile is important for eating, smiling, speaking, and an overall good quality of life. What’s more, when you don’t seek out restorative care, you increase your risk of experiencing more serious issues later on. You may be more susceptible to gum disease, for instance, or tooth loss. Seeking restorative dentistry early on will help you preserve and protect your smile. Do you have a need for restorative dentistry? Dr. Marks and Dr. Martin are committed to offering excellent care. Call our office today for an appointment. We serve patients from State College, Park Forest Village, Spring Mills, Centre Hall, Huntingdon, Altoona, Penns Valley, Boalsburg, Lemont, Bellefonte, Lewiston, Philipsburg, Port Matilda, University Park, Pleasant Gap, and Hollidaysburg.